The University of Chicago Press is proud to announce that The Alexander Medvedkin Reader has been named the best scholarly translation into English for 2017 by the American Association of Teachers of Slavic and East European Languages. Translated by film scholars Jay Leyda and Nikita Lary in cooperation with Alexander Medvedkin himself, the book offers unprecedented insight into Medvedkin’s film making demonstrating the importance of his work as a crucial link in the history of documentary film, on par with that of his contemporaries Sergei Eisenstein and Alexander Dovzhenko. But you don’t have to take our word for it. The prize announcement on the AATSEEL website offers a great overall picture of the book and the decades-long history of its translation and compilation. 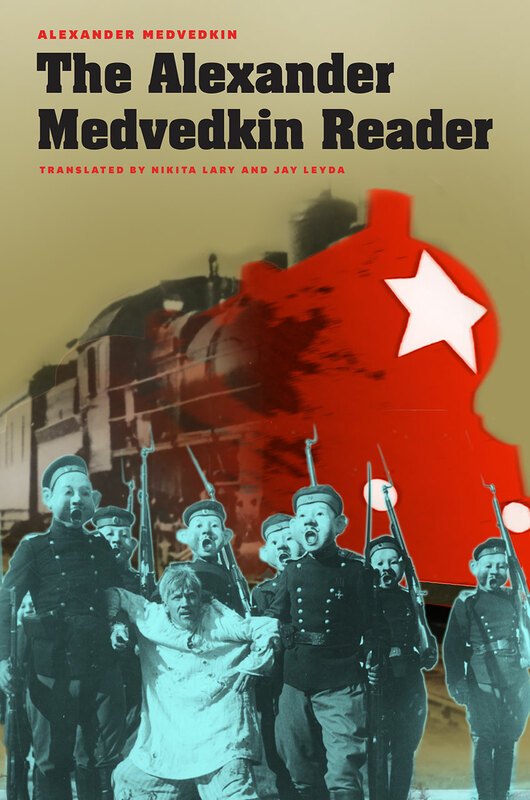 Calling it a “mother lode of source material for research on Medvedkin” the announcement continues: The translations are lucid and readable, ably conveying the tone and style of the original. The publication of The Alexander Medvedkin Reader fills a major lacuna in our understanding of early Soviet cinema, and is a gift whose value to the global community of film scholars and film enthusiasts is hard to overestimate. Congratulations to Nikita Lary and the rest of the . 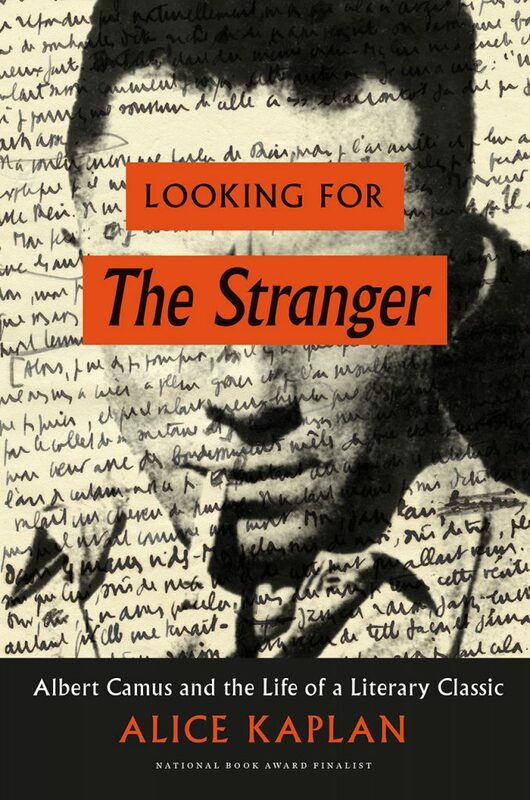 . .
Congrats to Alice Kaplan, the John M. Musser chair in French literature at Yale University, whose most recent book Looking for The Stranger: Albert Camus and the Life of a Literary Classic, was named a finalist for the 2016 National Book Critics Circle Award for Criticism. The honor is nothing new for Kaplan—two of her previous books, The Collaborator: The Trial and Execution of Robert Brasillach (which was also nominated for a National Book Award) and French Lessons: A Memoir, were also finalists, in the general nonfiction and autobiography/biography categories. The National Book Critics Circle awards, selected by a rotating group of rotating professional book review editors and critics, “honor the best literature published in the United States in six categories—autobiography, biography, criticism, fiction, nonfiction, and poetry.” Stay tuned: winners will be announced on March 16, 2017, in a ceremony at the New School. To read more about Looking for The Stranger, click here. . . .
*** The University of Chicago Press is pleased to announce that House of Debt: How They (and You) Caused the Great Recession and How We Can Prevent It from Happening Again, by Amir Sufi and Atif Mian, has been awarded the 2016 Gordon J. Laing Prize. The prize was announced during a reception on April 21st at the University of Chicago Quadrangle Club. The Gordon J. Laing Prize is awarded annually by the University of Chicago Press to the faculty author, editor, or translator of a book published in the previous three years that has brought the greatest distinction to the Press’s list. Books published in 2013 or 2014 were eligible for this year’s award. The prize is named in honor of the scholar who, serving as general editor from 1909 until 1940, firmly established the character and reputation of the University of Chicago Press as the premier academic publisher in the United States. 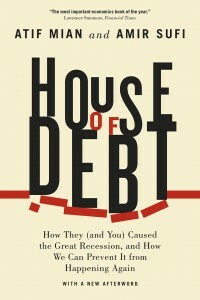 Taking a close look at the financial crisis and housing bust of 2008, House of Debt digs deep into economic data to show that it wasn’t the banks themselves that caused the crisis to be so bad—it was an incredible increase in household debt in the . . .
Congrats to Phoenix Poet Peter Balakian—his latest collection Ozone Journal took home the 2016 Pulitzer Prize for poetry, noted by the Pulitzer committee in their citation as, “poems that bear witness to the old losses and tragedies that undergird a global age of danger and uncertainty.” From a profile of Balakian at the Washington Post: “I’m interested in the collage form,” Balakian said. “I’m exploring, pushing the form of poetry, pushing it to have more stakes and more openness to the complexity of contemporary experience.” He describes poetry as living in “the speech-tongue-voice syntax of language’s music.” That, he says, gives the form unique power. “Any time you’re in the domain of the poem, you’re dealing with the most compressed and nuanced language that can be made. I believe that this affords us the possibility of going into a deeper place than any other literary art — deeper places of psychic, cultural and social reality.” From the book’s titular poem: Bach’s cantata in B-flat minor in the cassette, we lounged under the greenhouse-sky, the UVBs hacking at the acids and oxides and then I could hear the difference between an oboe and a bassoon at the river’s edge under cover— trees breathed in . . . The Phi Beta Kappa Society recently announced the shortlists for their 2015 book awards, and several books published by university presses made the cut. The awards include the Phi Beta Kappa Award in Science, the Ralph Waldo Emerson Award (which honors the book “that contribute significantly to interpretations of the intellectual and cultural condition of humanity”), and the Christian Gauss Award, described below: The Christian Gauss Award goes to books in the field of literary scholarship or criticism. The prize, created in 1960, honors the late Christian Gauss, the distinguished Princeton University scholar, teacher, and dean who also served as President of The Phi Beta Kappa Society. 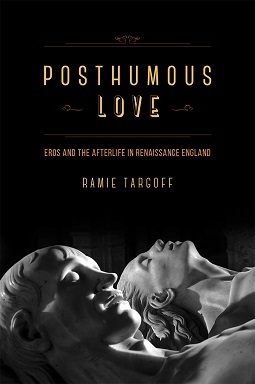 Among those books shortlisted for the Gauss Award was Ramie Targoff’s Posthumous Love: Eros and the Afterlife in Renaissance England, which considers the boundaries that Renaissance English poets drew between earthly and heavenly existence, as they transformed the concept of posthumous love—so dominant in the days of Dante and Petrarch—and instead introduced a new mode of poetics that derived its emotional and aesthetic power from its insistence upon love’s mortal limits. Winners—each of whom will receive a $10,000 prize—will be announced on October 1, 2015. To read more about Posthumous Love, click here. . . .
Congratulations to George Monbiot, author of Feral: Rewilding the Land, the Sea, Human Life, which was just announced as the winner of the 2015 Orion Book Award for nonfiction, which honors “books that deepen the reader’s connection to the natural world, represent excellence in writing.” In Feral, Monbiot, a journalist, columnist for the Guardian, and environmentalist (see his recent TED talk here), argues for a twenty-first-century movement based upon the concept of rewilding, which seeks to free nature from human intervention and allow ecosystems to resume their natural processes. From a recent profile of the book at the Orion Blog: When’s the last time you walked into the woods, or a park, or your garden, and felt unsure of what—or who—you might see? If the answer is “it’s been a while,” you’re not alone. 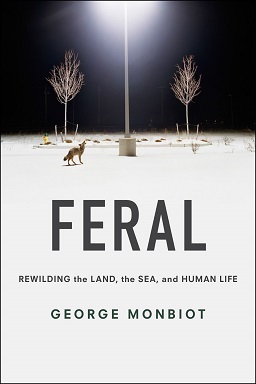 With his intrepid and imaginative new book, Feral: Rewilding the Land, the Sea, and Human Life, journalist George Monbiot has invented a term for this twenty-first-century condition that afflicts so many of us in the developed world: “ecological boredom.” He’s come up with a prescription, too, which involves large-scale reintroductions of keystone species to the landscapes that humans have emptied out and made their own. If this sounds reckless and implausible, it’s . . .
Fresh off an embargo of the news, we’re delighted to announce that Megan R. Luke’s Kurt Schwitters: Space, Image, Exile is the recipient of the 2015 Robert Motherwell Prize from the Dedalus Foundation. 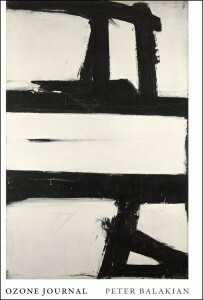 The Motherwell Prize, accompanied by a $10,000 award, “honors an outstanding publication in the history and criticism of modernism in the arts.” Luke’s book contextualizes, for the first time, the multidisciplinary work produced by one of modernism’s foremost innovators during the last years of his life, both during the Nazi regime and while in exile in Western Europe. From the official announcement: The Dedalus Foundation is pleased to announce that Megan R. Luke is the winner of the fourteenth annual Robert Motherwell Book Award, for Kurt Schwitters: Space, Image, Exile, published by The University of Chicago Press. The award, which carries a prize of $10,000, honors an outstanding publication in the history and criticism of modernism in the arts for the year 2014. 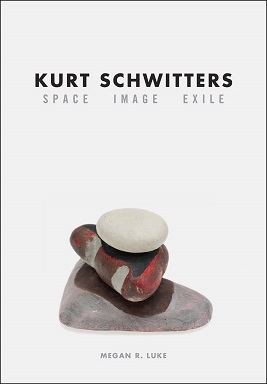 German artist Kurt Schwitters (1887–1948) is best known for his pioneering work in fusing collage and abstraction, the two most transformative innovations of twentieth-century art. Considered the father of installation art, Schwitters was also a theorist and a writer whose influence extends from Robert Rauschenberg and . . .
Each year, the University of Chicago Press, awards the Gordon J. Laing Prize to “the faculty author, editor or translator of a book published in the previous three years that brings the Press the greatest distinction.” Originated in 1963, the Prize was named after a former general editor of the Press, whose commitment to extraordinary scholarship helped establish UCP as one of the country’s premier university presses. 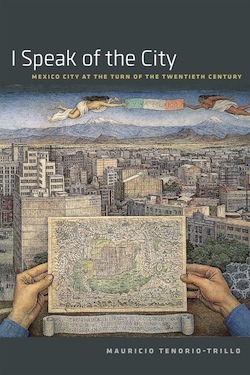 Conferred by a vote from the Board of University Publications and celebrated earlier this week, the 2015 Laing Prize was awarded to Mauricio Tenorio-Trillo, professor of history at the University of Chicago, and associate professor at the Centro de Investigación y Docencia Económicas, Mexico City, for his book I Speak the City: Mexico City at the Turn of the Twentieth Century. University of Chicago President Robert J. Zimmer’s presented the award at a ceremony earlier this week. From the Press’s official citation: From art to city planning, from epidemiology to poetry, I Speak of the City challenges the conventional wisdom about Mexico City, investigating the city and the turn-of-the-century world to which it belonged. By engaging with the rise of modernism and the cultural experiences of such personalities as Hart Crane, Mina Loy and Diego Rivera, I . . .
Hearty congratulations to Alan Shapiro, whose collection of poems Reel to Reel was recently shortlisted for the 2015 Pulitzer Prize in poetry. Shapiro, who teaches at the University of North Carolina at Chapel Hill, has published twelve volumes of poetry, and has previously been nominated for both the National Book Award and the Griffin Prize. The Pulitzer Prize citation commended Reel to Reel‘s “finely crafted poems with a composure that cannot conceal the troubled terrain they traverse.” The book, written with Shapiro’s recognizably graceful, abstracting, and subtle minimalism, was one of two finalists, along with Arthur Sze’s Compass Rose; Gregory Pardlo’s Digest won the award. 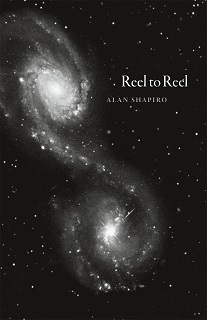 From the jacket copy for Reel to Reel: Reel to Reel, Alan Shapiro’s twelfth collection of poetry, moves outward from the intimate spaces of family and romantic life to embrace not only the human realm of politics and culture but also the natural world, and even the outer spaces of the cosmos itself. In language richly nuanced yet accessible, these poems inhabit and explore fundamental questions of existence, such as time, mortality, consciousness, and matter. How did we get here? Why is there something rather than nothing? How do we live fully and lovingly as conscious creatures in an unconscious universe with no . . .